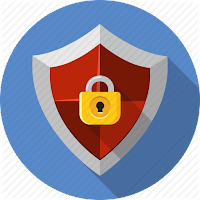 The antivirus is an essential important apps for all types of mobiles which helps the users to protect the files and the apps from attacking of virus. An antivirus is a very essential programs for the mobile now a days because most of the files has the chances of attacking by virus. Although there are a couples of Mobile Antivirus are available in the Opera Mobile Store but here in this post we are discussing about the latest mobile antivirus Best Antivirus Pro 2015 which is now available for download in Opera Mobile Store free of cost. We have already post an article about the mobile antivirus in our Previous Post but the Best Antivirus Pro 2015 is the latest mobile antivirus which can help you to keep your files free from the attack of virus. Here in this article we will provide the details about the Antivirus, how to install and about the advantages of the said antivirus which can help you to configure the same in your Nokia mobiles. Scan all viruses and clean your files from virus attacking in your phone and as well as in SD Card. The antivirus will be update every month for which you have connect you device to the internet. It is very easy and comfortable to use. The Best Antivirus Pro 2015 is now available for download from the Opera Mobile Store or optionally you can download the same from This Download Link. Remember this is a free app and you have not to pay any charges for it. Just you have to connect your phone to internet for download the app. Hope this app will help you to secure your files from the virus infection. If you face any problems during the downloading and installation of the app then please comment below and we will Help you. The WhatsApp is a chat application which is became very popular among the users which is now available in Nokia S40 Devices and Nokia S60 Devices. It can be downloaded from the Nokia OVI Store but after replacing the OVI Store by Opera Mobile Store in the 1st quarter of 2015 some of the users faced some problems in updating the WhatsApp in their Nokia S60 devices. In this article we are trying to elaborate the process to update the WhatsApp in Nokia s60 devices which can help the users to update the same in their devices to get the trouble free WhatsApp. Users can download and install the WhatsApp from the Opera Mobile Store but instead of that you can download the apps directly from WhatsApp official website where you can get the latest version of WhatsApp. Kindly follow the below mentioned steps to update the WhatsApp at your Nokia S60 devices. You have to open the WhatsApp in your devices and go to Options. After that click on Updates under the Settings Tab. Then click on Check for Updates under the updates Tab. Now, follow the on-screen instructions to install the update to enjoy the trouble free WhatsApp. Kindly remember one thing that you do not need to remove or uninstall the WhatsApp in order to update. If you remove the App then you may lose your entire WhatsApp Chat History. You can download the WhatsApp directly from their website from this Link. Hope the above can help you to update you WhatsApp in your Nokia S60 Devices without any trouble. 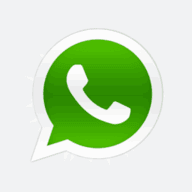 For step by step tutorial regarding the download of WhatsApp in S60 devices in this article. Although after replacing the OVI store by Opera Mobile store some problems were happened but now it is resolved and users can enjoy WhatsApp in both S40 and as well as S60 series devices. If you face any problems during updating the same then please let us know and we will try to help you at our best. Enabling of Voice over LTE support for selected operators. This important update has been released for the above which also includes the improved camera experience, Live Folders and more. This update also includes the improvements to stability, Audio quality, Wi-Fi and cellular connectivity, roaming and many others. The availability of this update may depend on the network service provider, so, you have to check for the updates in your lumia device in phone update under settings. Before you go for the software update on your windows phone please ensure that your device has sufficient space i.e. at least 1.5GB free memory. Your phone may have several updates so you may need to repeat the process to get the latest version of the software. 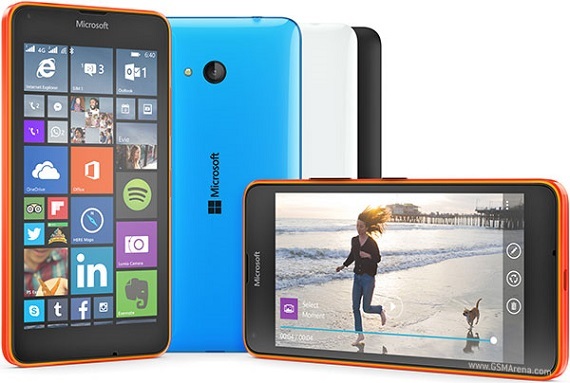 The process of update the software in Lumia devices is very easy for which a data connection or Wi-Fi is required. The complete process of software update you can get in the Microsoft support page HERE. The below video can help you to update your Lumia device to Lumia Denim version. Recently Microsoft has announced that the Windows 10 will be available for all the Lumia Smartphones running Windows8.1. But to get the Windows 10 in your Lumia device you have update you phone with Lumia Denim (OS version 8.10.14219.341, or higher). So, do not wait and update your phone for the latest Lumia Denim. Now a days the the WhatsApp Messenger is becomes very popular among the users which is now available for both Android, iOS, Nokia S40 devices and in many others. But in this article we will discuss how to download and configure the WhatsApp messenger for the Nokia S60 devices. Hope the article will help the users to configure the same in their devices very easily. Actually the WhatsApp Messenger is now available for download in the Nokia OVI Store. But before download the same this is for your reference that the Nokia OVI Store is recently replaced by Opera Mobile Store where the download option for WhatsApp Messenger is available free of cost. Also we strongly recommend to download the messenger from the Official Website of WhatsApp where you can get the updated latest version of the application. Recently we have updated an article with the details tutorial about how to configure the WhatsApp messenger in the Nokia S40 devices. The download and the configure process is same which you can find in Download WhatsApp Messenger for S40 Devices and the direct download link for the messenger you can get here. Hope this will help you to configure the WhatsApp messenger in your Nokia S60 device. Open WhatsApp and go to Options > Settings > Updates. Follow the on screen instructions to install the update. Now download the latest version of the WhatsApp Messenger and enjoy the instant messaging. Instant messaging system is a most popular application for both Android, Windows and S40 series mobile phones. There are a lots of instant messaging applications mostly popular among the mobile users through which one can interact with their friends by text messages, photos, videos, music and also through free calls. This means these applications not only for text messaging but one can send and share photos, videos, music and many more. Here in this article we will discuss about the most popular WhatsApp S40 Messenger for the Nokia S40 series mobile phones. The WhatsApp Messenger is also available for the Nokia S40 series mobile phones which is now available for download in the Nokia OVI Store and it is provided by the WhatsApp Inc. It is a Smartphone messenger which is available for Nokia, Blackberry, iPhone and the Android phones. Now users can switch their SMS to the WhatsApp which is absolutely free and users can enjoy the free text messaging and much more without any cost. Users can now download the WhatsApp Messenger directly from the Nokia Store free of cost for which the only the data charges may apply. You have to download a small file of approx 2MB by using your phone from the store for which an internet connection is required. Before download the same to your phone you can check the compatibility of the application whether it is compatible for your phone or not by using the Nokia Phone Selector. If your phone is compatible for the WhatsApp Messenger then you may download directly from the Nokia Store. After download the same from the store you have to install it and then set your phone number to enjoy the free messaging and much more facilities. Now you have almost complete the process of installation of the WhatsApp Messenger for your Nokia device and you are now able to messaging to your friends or colleagues free of cost instead of sending SMS. Hope you can able to set up the same in your device and enjoy the instant messaging. If you have any problems during downloading the same from OVI store please let us know and we will try our best to provide you the way to solve it or you may directly contact with the WhatsApp Official Website for S40 devices for more information and support. Generally all of us preferred to brought the mobile phone to a repair shop or service centre when the phone gave problems or not working. 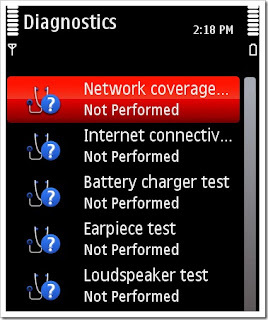 But before go to repair we can check about some easy steps through which the phone may be repaired. It is normal that a phone may give problems anytime or may be out of order but it not meant that you should go to repair the same urgently because you can check some primary steps which may help you to repair the phone. Here in this article you can get some tutorials about some primary steps to fix the problems of your phone before go to repair. You have to go through the following steps to fix the issues which can save your time and effort. First of all, if your phone have a removable battery, then switched it off and take the battery out from the phone. After sometime put the battery and switched on your phone. Please note that if your phone has not a removable battery then press and hold the power key until the phone switched off and turn it on again after few seconds. This is the first step of the process. Secondly, If the phone didn't work properly after doing the first step, then connect the charger to the phone and wait until the battery fully charged. Kindly note that if the battery has not been used for a long time then you need to connect the charger and disconnect and again reconnect to begin the charging. This is the second step of the process and after completion of this step your phone may be repaired or working properly. If still the phone didn't working properly then you may go to the third and final step of the process. 1. First of all, you have to end all your connections and active calls. 2. Then, Go to settings and then Phone management under the Phone tab. 3. Then go to Factory Settings and click on 'Restore'. But don't forget to take backup of your data before go to this step otherwise you will can't restore the files and data after you restore the factory settings. After restore switched off the phone and then on again. This process may take several minutes to complete but it may help you to repair your phone before going to the repair shop or service centre. If still your phone is not repaired or not working properly then you have to go to the repair shop or service centre. But in many cases Software update of the phone may also help you to repair your phone which you can do by using your phone or in the service centre. Our earlier post on How to update software in Nokia Phones may help you to update your phone quickly. If you are not able to repair your phone through these above steps then you may go to any shop or service centre to repair the same. But remember before proceed to service centre you have to do these steps because it not only save the money but also your valuable time.